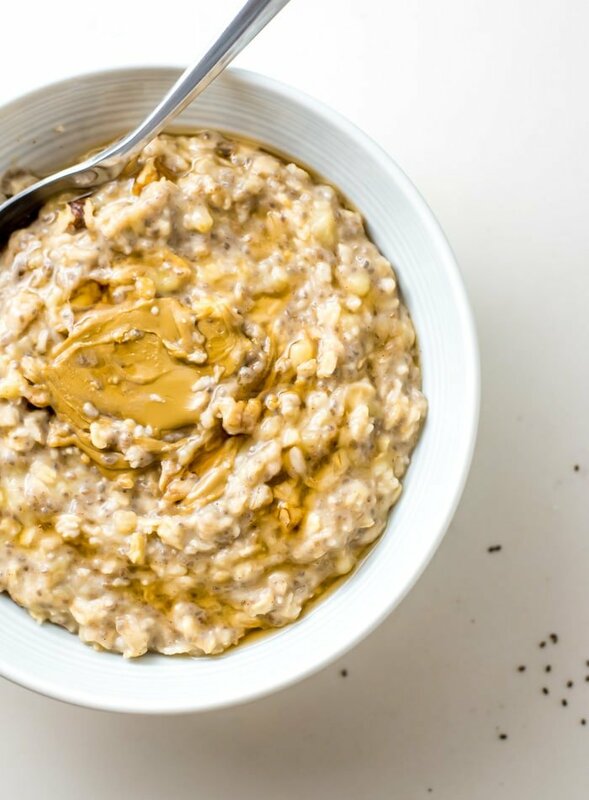 Cooking stovetop oatmeal with mashed banana is a recipe for the creamiest, coziest oatmeal ever. 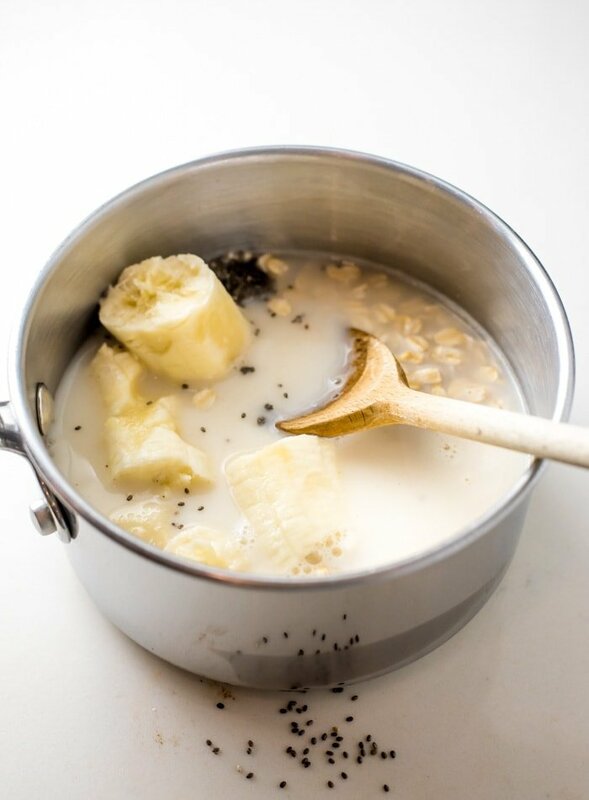 To make this amazing, simple creamy banana oatmeal, all you need is an extra ripe, spotty banana, rolled oats, cinnamon, chia seeds, water and almond milk. Rolled oats. For stovetop oatmeal, rolled oats, old fashioned oats or large flake oats make for the fluffiest, creamiest texture. Extra ripe banana. A ripe spotty banana is perfect for this recipe and adds all the natural sweetness you’ll need. Chia seeds or ground flax. You can use either 1 tbsp of chia seeds or 1 tbsp of ground flax to help thicken the oats and add some extra nutrition. Sea salt and cinnamon. These ingredients are optional but I love the flavour they add. 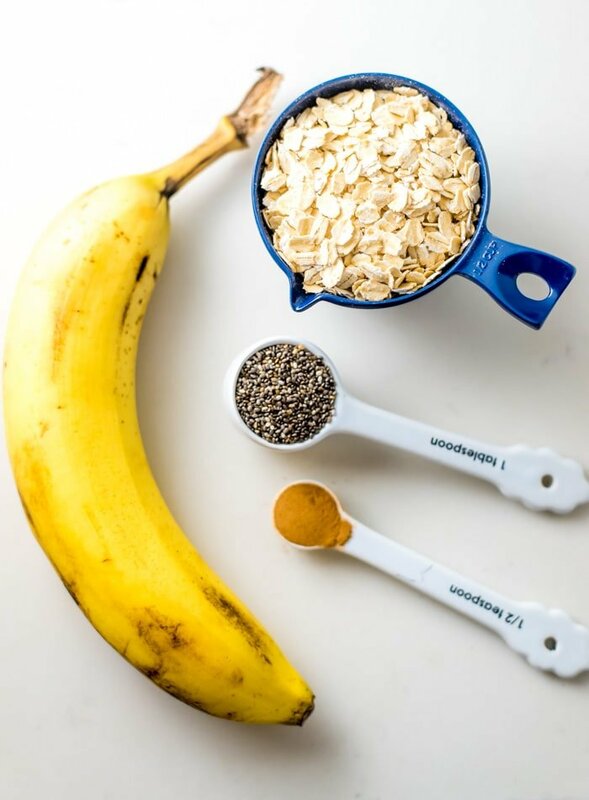 Use either or both to enhance the flavour of the oats and banana. Water and milk. For the cooking liquid for this recipe I used half water and half almond milk. I like the added milk for extra creaminess but you can just use water if you’re out of milk. Any combination of the two works, for example 3/4 cup water and 1/4 cup milk. You can use any other plant milt in place of almond milk. 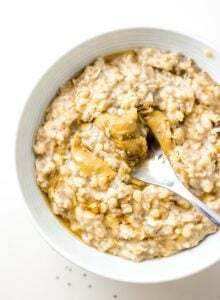 For extra, extra creamy oats, try canned light coconut milk! 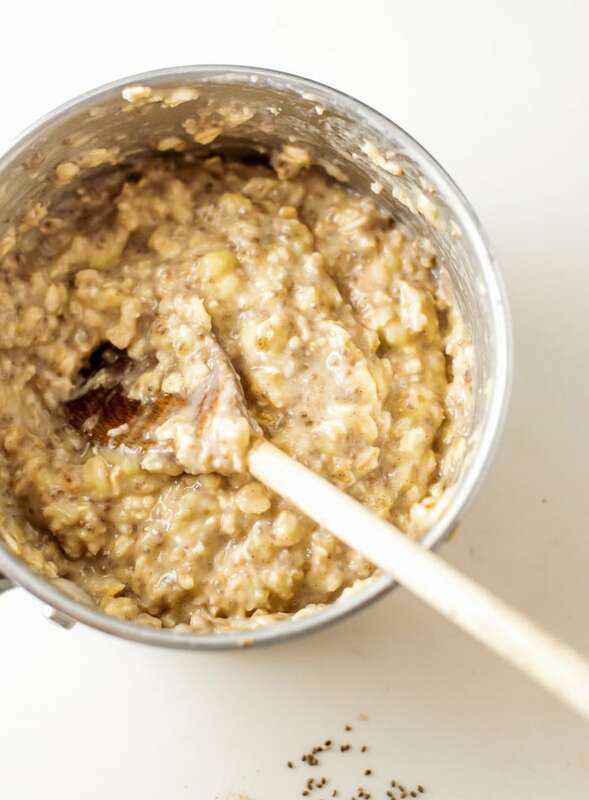 To make this easy oatmeal, just add everything to a pot and heat it up, mashing the banana as it cooks, until you have a thick and creamy bowl of oats. There’s no need for additional sweetener as the ripe banana does the trick. Once cooked, scoop it into a bowl and enjoy as is or with toppings like walnuts and almond butter. 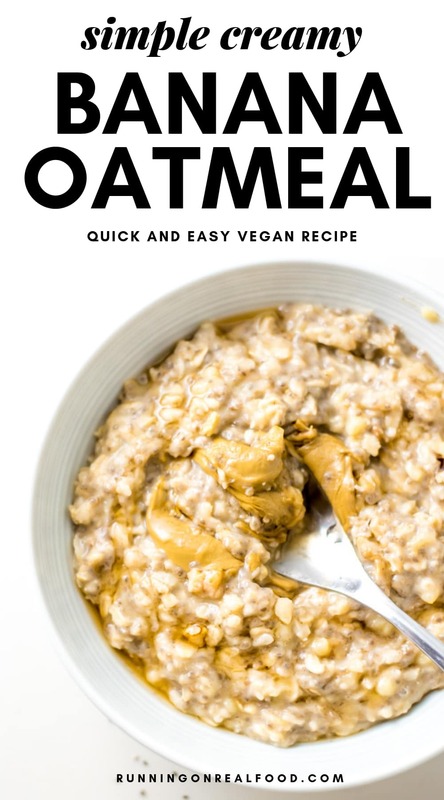 This recipe is vegan, high in fibre, gluten-free (use GF-certified oats if needed) and has no added sugar as it’s naturally sweetened by the banana. To make an ideal carbohydrate and protein-rich, post-workout breakfast, try adding 1/2 a scoop of vegan vanilla protein powder. This simple creamy oatmeal is made with just a few wholesome ingredients and is ready in just 10 minutes. Dig into this filling and nourishing bowl of oats anytime you want a warm and cozy breakfast to start your day. Add all of the ingredients to a small pot stovetop. Cook over medium heat, stirring and mashing the banana with a wooden spoon as it cooks. Cook for 8-10 minutes until thick and creamy, stirring frequently so it doesn’t burn. I like to remove the pot from the heat after 8-10 minutes and let sit for a few more minutes to thicken a little more. If you want it a little creamier, stir in a little additional almond milk, light coconut milk or other plant milk of choice to reach desired consistency. Scoop into a bowl and add any desired toppings (chopped walnuts, blueberries or almond butter are delicious) and enjoy.